I love food. Gnam Box loves food too. I love gorgeous guys. Gnam Box loves gorgeous guys too (and girls). They combine food and guys so well. Check out their website if you have time. 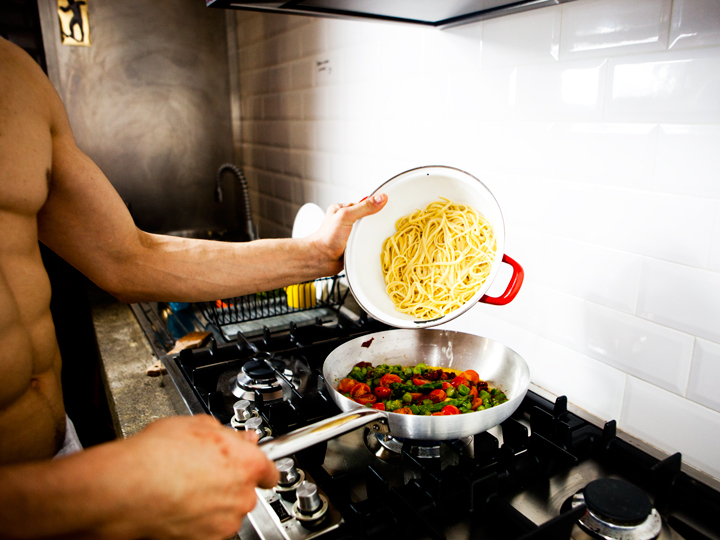 Here we have Antonio Anuk cooking linguine with asparagus and sun-dried tomatoes. It is part of Gnam Box's Welcome Springtime project. Antonio is photographed by Cristina Capucci. Check out the recipe Antonio is cooking at Gnam Box.